Everyone knows the wedding is about the bride (and maybe a little bit about the groom) but the bridal party plays a huge role, mostly behind the scenes, and they deserve to be recognized for their hard work. There are easy ways to make sure the bridal party gets this acknowledgement, but there are also creative, fun ways to introduce your closest friends and family to all of your guests. It’s common to put information about the bridal party in the program for your guests to read, and while this is helpful, it can be impersonal and doesn’t give them a chance to put names to faces. 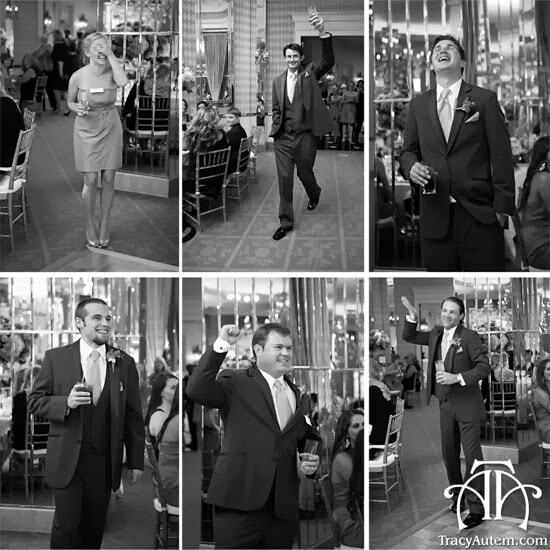 Consider putting in a small photo next to each member of the bridal party along with a short bio. Weddings are about joining two families, but the bride and groom need to facilitate this, and the best way to start this is to introduce the bridal party. Use props. Find toys or other props that fit your theme and have your bridal party use them during their introductions. These picture frames don’t have to be for just the bridal party either. You can include the parents of the bride and groom, the ring bearer, the flower girl, and anyone else you think deserves one!